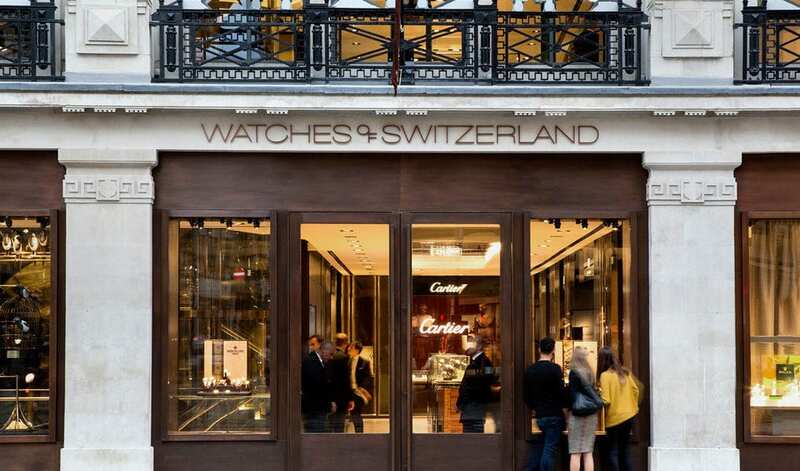 The “Watches of Switzerland” store in Regent Street is the largest showroom in Europe dedicated to the display and sales of luxury watches manufactured by the most upscale brands. 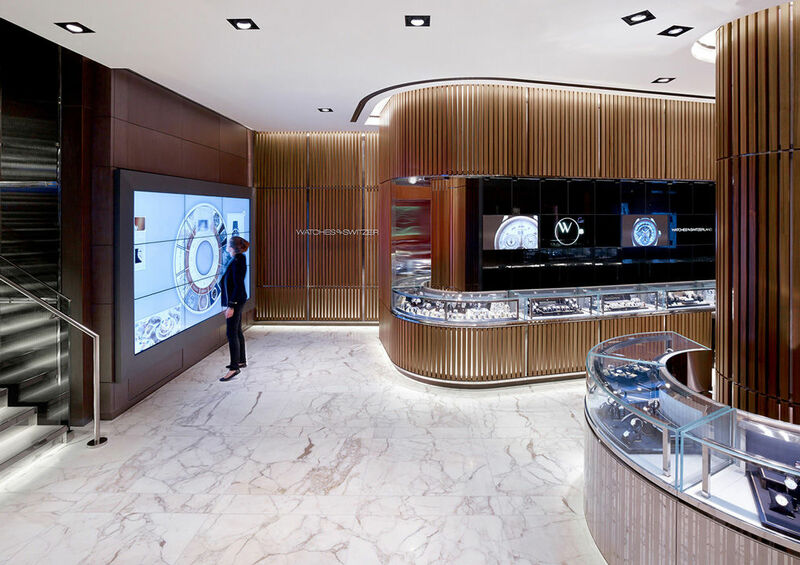 The store occupies three floors and offers visitors and buyers unparalleled service through consultation with highly-qualified staff and an array of priceless watches in a tastefully designed and elegantly furnished setting. 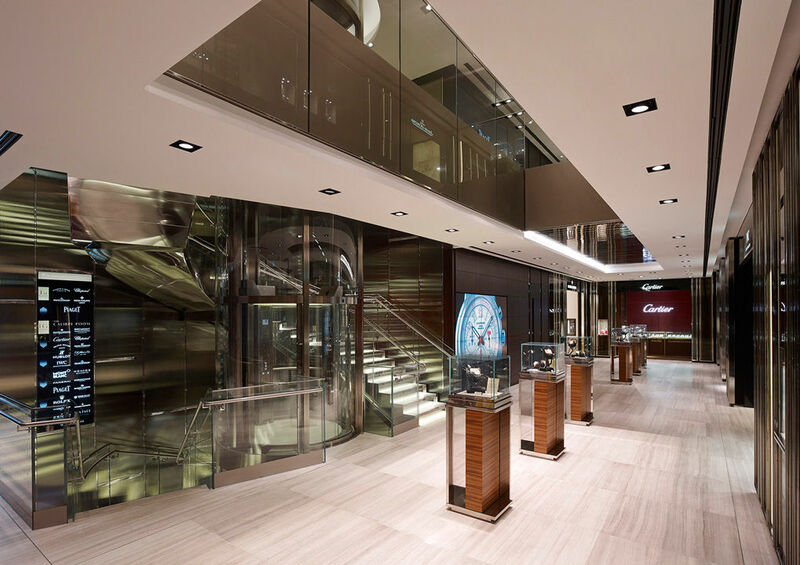 Interior design project by Callison Global. 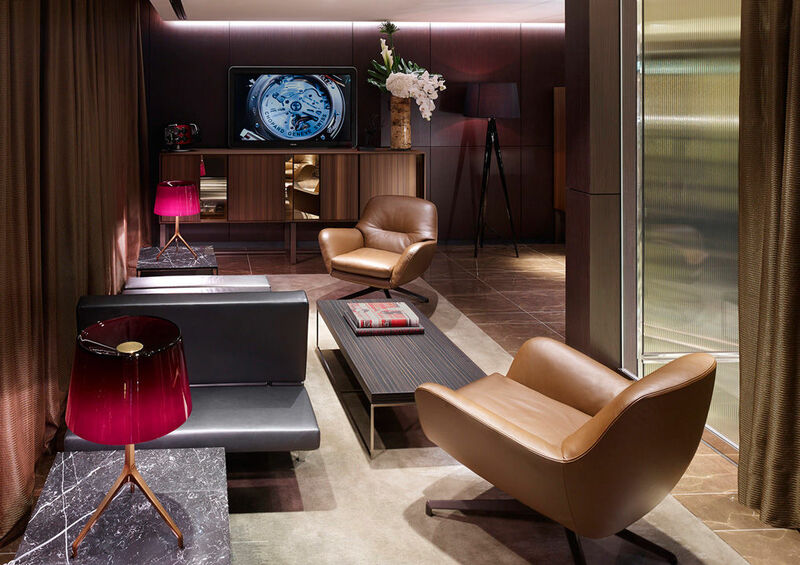 Several products from the Minotti collection – including the Smith Lounge System bench and Jensen armchairs, both upholstered in soft leather, and the Calder coffee tables with tops in ebony and Black Marquinia marble – were selected to furnish some of the viewing rooms.